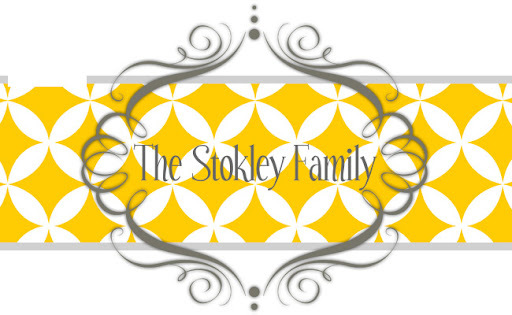 The Stokley Family: Look what we found! You will never believe what Whitney and I found at Moms...the ORIGINAL Nintendo. We were pretty pumped about it! Of course we opted to play the original Mario and laughed our heads off the whole time! First we had to clean the disk. (I know it's not technically a disk but I couldn't think of another word to use instead of disk...anyone have one?) You are officially considered old if you remember having to blow into the game to clean it out. Next we plugged in the old school controller. We looked for the gun so we could play duck hunt but we couldn't find it. We also talked about how we wish we could find the pad for the track game. Does anyone remember that game? You ran and then like jumped and landed on the pad. This was considered cutting edge technology back in 1987. When we put in the game it came up on the screen Copyright 1987. Whitney pointed out that she wasn't born in 1987. Thanks Whitney for making me feel older that I already feel. When the game actually started you should have heard us. Every time a new screen shot came up or we made it to a new level it brought back so many memories. I had forgotten how small Mario is until he gets a mushroom and when I got my first star I had completely forgotten than you can run into things without dying while you were blinking. We remembered how you can go into tunnels to go to secret passages and does anyone else remember the underwater level being so hard?? We also laughed when we realized you can't go backwards in Mario. Once you pass something it's to bad so sad. It was a fun afternoon of laughing until I almost cried with one of my favorite people in the world. Long live the original Nintendo! I haven't found my nintendo, but we found the Super Nintendo---and we had the "special edition" game that had the orignial nintendo game on it! Underwater levels are hard!! Remember Super Mario 3..when you could duck down behind the trees and stuff...and sand pits you could fall in!! And if you got 3 stars at the end, you got a 5up!!! hahaha!!! Life was fun in 1987!